Our Virginia Pest Control Courses are available online at www.PestControlCourses.com. We have made license recertification easier than ever! Pest Control Courses® has a wide assortment of Virginia Pest Control Courses for private and commercial applicators in the state of Virginia. There is a reason our courses are state-approved. All of our online classes are full of valuable, up-to-date and practical information. We have designed our courses to be educational. Our goal is to keep you up-to-date on new technologies, equipment, procedures and protocols within the pest control profession. We want you to learn and succeed, so we don’t try to trip you up with trick questions. When you have finished with one of our online courses, you will receive an instant certificate upon completion. You can print off this certificate from the comfort of your home or office. You will need to store this certificate safely in your records in case you are inspected. If you need pest control training prior to renewing your license, contact Pest Control Courses® today. Our online Virginia Pest Control Courses are flexible around your busy schedule. 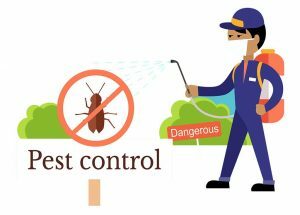 With superior support, affordable packages and a wide selection of course content, there’s no wonder Pest Control Courses® is a leading provider of pest control online training. Do not forget, the obvious benefit of taking one of our Virginia Pest Control Courses is the instant continuing education certificate you get to print off once you have completed one of our courses. Lastly, another big benefit of our online courses is that you no longer have to fight the traffic or drive a long distance to do your continuing education training. With easy registration, no traffic jams, instant certificate upon completion and a money-back guarantee, there’s no better option for getting your Virginia pest control CEUs. Contact Pest Control Courses® and begin earning your continuing education credits today!